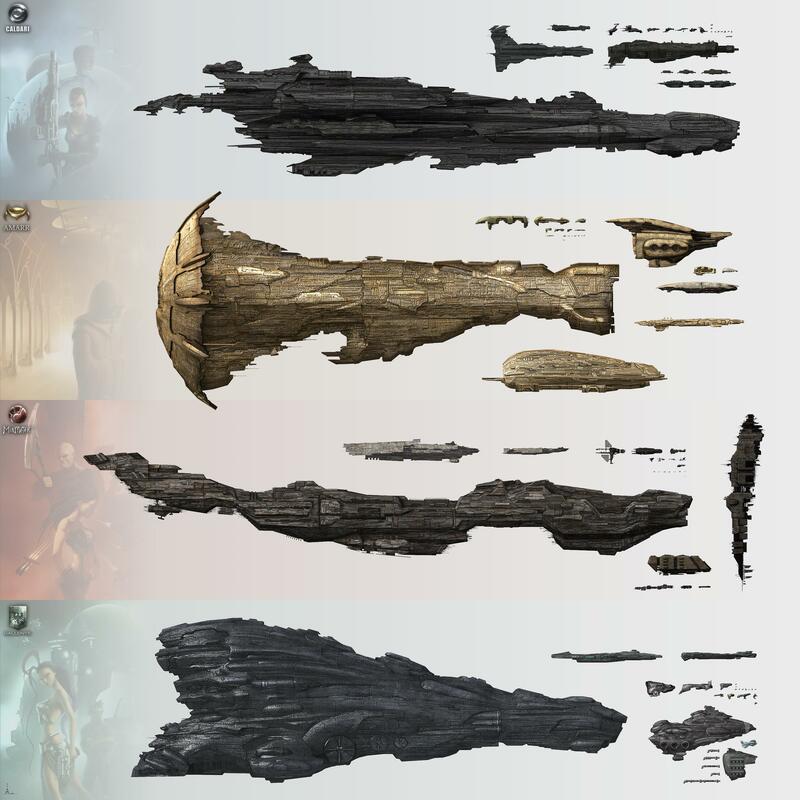 [EVE Online] The first Titan has been built and it was Ascendant Frontier that made it happen. It’s a pretty big deal, and an even bigger ship. Way to go ASCN! Ars Caelestis is proud to be a part of ASCN. I thought BoB had one cooked up already… did it get beat down or something? “Congrats on being the first to build a Titan. What a way to secure a place in EVE history! For us non-EVE players, can you go into a little detail about what this represents and why nobody’s done it before – is it just really expensive or is there more to it? And how much does this increase AF’s power – is it mostly prestige or will a Titan let them clobber other guilds? You can also see a picture of the titans on that page, towards the top. They are the 4 biggest ships in the image. Since it is the first one in game, we are now going to start finding out what it will do for the alliance. But to answer the questions you asked as best as I can, it is the largest ship in game by far. It must be manufactured by the players, you cannot buy one except from another player that had one built. It takes a long time to build, lots of resources and money (the numbers I’ve seen listed, which I’m not allowed to share, are unreal). Any time along that process there are opportunities for the enemy to stop your production. It is done in such secrecy that most of us in the alliance did not even know we were building one. Having the first one, means everyone else will now want to be the first one to destroy it. It will be interesting to see how it impacts gameplay. It does have a weapon which people call a doomsday weapon which can destroy most ships in one shot and almost all ships in two. It is expensive to fire as it uses fuel if I understand it correctly. I don’t think you can fly around firing off doomsday shots all day long. I think it is probably a good defensive weapon, mostly intimidating the enemy to leave. Here is a video that was made of it. Also, for a large view of all the ships in game, click this link.